The precipitous demise of China’s prototype space station, Tiangong-1, was the sort of event that took earthbound discussions to more heavenly matters. Human beings, as is their wont, tend to follow the rules of colonisation with a certain automatism. In doing so, they have a distinct habit of leaving debris, a junking phenomenon that has seen space become a celestial dump. In the earthly heavens lie a plenitude of detritus and artefacts that, should they continue to multiply, will result in regular crashes and mayhem. But beyond the debris lie new worlds upon which to plant flags and forge troubled civilisations. 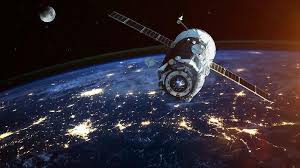 The United Nations Office for Outer Space Affairs (UNOOSA) has been keeping watch of the increasing number of objects that have found their way into space. Just under 5,000 orbit the earth, while the number that have been launched into space stands at 8050. That number, at least, has fallen by one. The initial effort was experimentally modest relative to the International Space Station, but that hardly mattered. When it launched on September 29, 2011, the very statement of that fact was enough to pique broader space interest. In time, China’s astronauts, or taikonauts, would visit, but prior to that were successful orbital dockings and a visit from the Shenzhou-9 vehicle by three space flyers. Cheng, presumably showing his standing at a conservative US think-tank, pressed the view that control here was everything. Terms needed to be clarified; positions sorted with definitive purpose. “We should be diplomatically, and in the space-policy world, pushing China to accept a definition of ‘control’ that is comparable to the rest of the rules-based world. You don’t get your own definition”. The Aerospace Corporation added a tantalising touch. “In general, it is much easier to predict an accurate re-entry time rather than an accurate re-entry location.” Cue the suspense, though the analysts did note that the only known instance of a person being struck by space debris remains the unfortunate Ms. Lottie Williams of Tulsa, Oklahoma “who was struck by a small piece of space debris in 1996 but was not harmed in any significant way.” The odds then? Less than 1-in-1 trillion. Other concerns were also added to what had become something of an ensemble of worry. “By the way,” sparkled Mike Wall of Space.com, “if you do manage to find a chunk of Tiangong-1, don’t pick it up or breathe in any fumes emanating from it. The space junk may be contaminated with hydrazine, a toxic rocket fuel”. The notification that hydrazine was present on the craft sent certain members of the press into a flutter. Sebastian Kettley of The Express called the claim shocking, with the suitably hyperbolic statement that the “rogue Chinese space station” had a “toxic hazard aboard”. The disintegration of Tiangong-1 proved suitably anti-climactic, burning up in the atmosphere over the southern Pacific Ocean. There were no casualties for the bloodthirsty, nor poisonings for the morbid. But the incident had brought the Chinese space program a certain prominence. Despite a space budget dwarfing that of China (coming in at $6 billion) and Russia (even less than China) the United States, with its $40 billion, managed a mere 19 successful space launches in 2013 compared with Russia’s 31 and China’s 14. The deceptive impression left by the words of Maj. General Stephen Whiting, commander of the 14th US Air Force and deputy commander of the Joint Force Space Component Command, is of a space environment of convivial efforts and undertakings. “One of our missions, which we remain focused on, is to monitor space and the tens of thousands of pieces of debris that congest it, while at the same time working with allies and partners to enhance spaceflight safely and increase transparency in the space domain.” Transparency, however, remains elusive in a celestial sense, as it always has in any colonial enterprise, however incipient.